It is crazy how things go on and somehow , this card has been made for a while and not only fits with today's challenge but also fits with what is going on with life. We have a few friends that our like our chosen families... 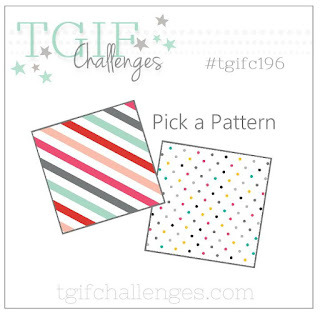 This week with TGIF we are creating with a "Pick A Pattern" Challenge! I have chosen the Botanical Butterfly DSP for my pattern! I created this card for a recent swap I did to show case the SaleABration products! 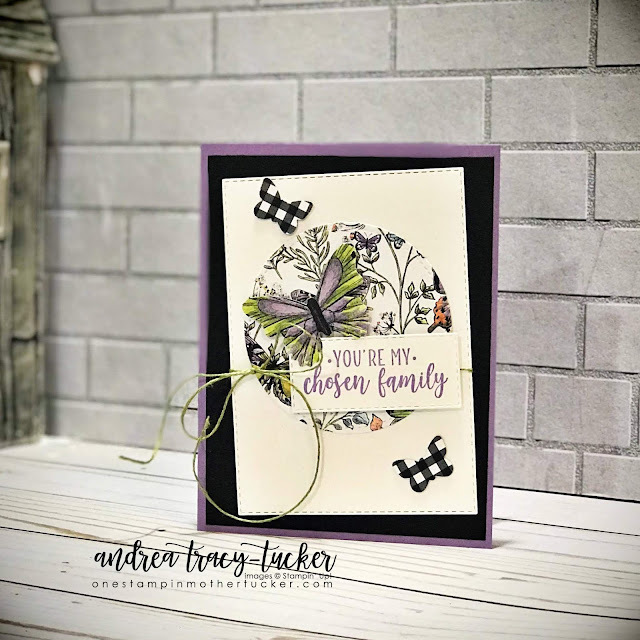 With a base of Highland Heather and a mat of Basic Black it was the perfect combination to feature the Botanical Butterfly DSP and Part of My Story Stamp set. The DSP works perfectly with the Butterfly Duet Punch which may be out of stock right now, but will return with the 2019-2020 Annual Catalog! This has been so popular because it will even punch the butterflies out of the DSP! I have stamped the sentiment "You're My Chosen Family" from the Part of My Story SAB Stamp Set in Highland Heather ink and used the smallest stitched rectangle from the Rectangle Stitched Dies. I am so glad you stopped by today! I can't wait to see how you Pick A Pattern for this challenge!